Welcome to Lake Coeur d'Alene Movers. 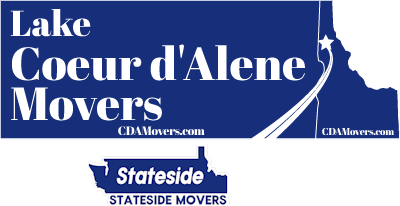 With an ever increasing demand for professional and affordable moving services, at Lake Coeur d'Alene Movers / Stateside Movers LLC we are highly aware about our customer's budget. 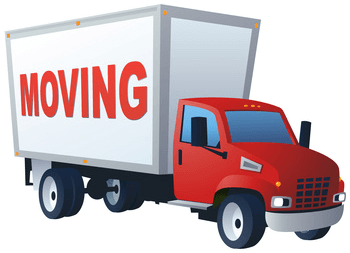 For moving services to or from Spirit Lake, Idaho, we encourage you to give Lake Coeur d'Alene Movers / Stateside Movers LLC an opportunity to both impress and please you with our services. Your satisfaction is our business. With well trained and reliable staff committed to clients' demands for reliable moving, you will not be disappointed. We value your goods just as you do. Our trucks are insured as well as your goods on transit. We have the moving supplies to secure your goods during transport as well, and that includes an arsenal of moving pads that we can pad your artwork, glass photos, and furniture with. Whether on transit within Idaho or beyond the borders, we want you to get the best of our services. We are reliable and affordable Spirit Lake long distance movers. A lot can happen on a long distance move and that includes a load shift, a truck breakdown, and sometimes even poor road conditions. On a professional job, a reliable moving company should take all these events in mind and then plan for the worst. That way your goods are secure and protected by most unexpected events that can take place on a long distance move. Want to save a effort and time getting ready for moving day? We provide Spirit Lake packing services and can arrive a day or two before your move and professionally pack your entire home using an assortment of packing paper and moving boxes you supply for the job. Need us to bring moving supplies like packing paper and boxes? Let us know your needs beforehand so we can give you an accurate estimate for the cost. 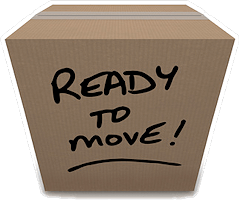 When You're Ready for Spirit Lake Moving, Call Us! Use your smart phone or other mobile device to text us for a free quote at (208) 770-0845 or Click here for a free estimate today on professional Spirit Lake moving services both in-town and long distance moving.